Long announced Podcast update for Google Play Music is now available. 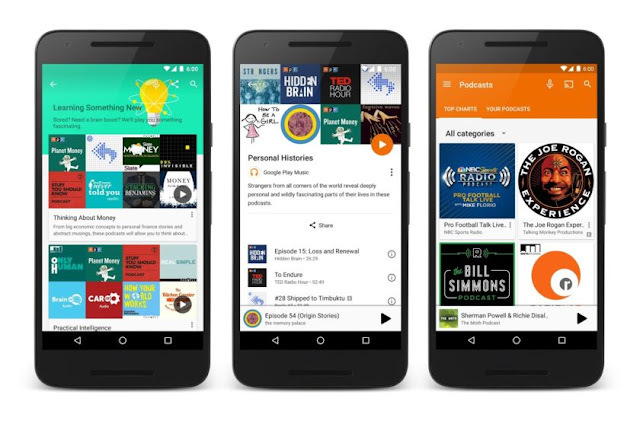 Starting today people in USA and Canada can Search for and stream podcasts from the web. Well, about Android, Google said it will be coming soon. You can Search and subscribe to the podcast , download individual episodes to the device and get notified for new episodes. Now you can listen to Podcast and Music at one place.